27-28 April 2017. G20 conference ONE WORLD – No Hunger. Future of the rural world in Berlin. Germany is using its current Presidency of the G20. As part of the conference, the G20 representatives reached a consensus on measures to create more jobs and better prospects for young people in rural areas. That will be an important basis for G20 heads of state and government to adopt ambitious decisions at their summit in Hamburg on 7 and 8 July. Some 130 youth representatives from G20 and African countries attended this conference. This event focused on youth employment in rural areas. Other conference participants included African Development Bank President Akinwumi Adesina, Nobel Peace Prize laureate Muhammad Yunus, African philanthropists Mo Ibrahim and Tony Elumelu, the Head of the Federal Chancellery, Peter Altmaier, and German Agriculture Minister Christian Schmidt. In Africa alone, an additional 440 million young people will be joining an already highly competitive labour market between now and 2030, most of them in rural areas. There is therefore huge potential to achieve dynamic rural development. If, however, these young people have no prospects for the future, there is a risk that long-term social harmony and stability will be put in jeopardy and that natural resources will be over-exploited. One of the conference’s key elements was the “Berlin Charter”. This document (17 pages) can serve as important political impetus and as guidance for decision-makers from the worlds of politics, business and civil society, with a view to boosting their involvement in efforts to foster rural development and youth employment. The document was drafted in the run-up to the conference by an international advisory committee that consulted widely with non-governmental groups. 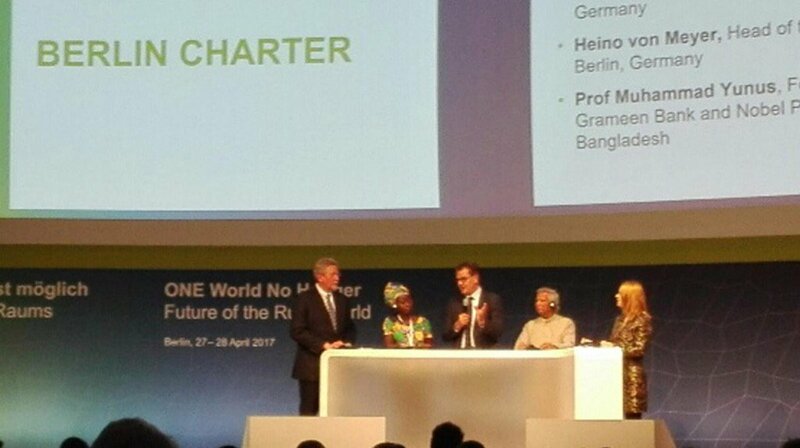 The Charter was then discussed at the conference before being officially presented to Federal Minister Gerd Müller. WE ARE THE FUTURE OF THE RURAL WORLD! 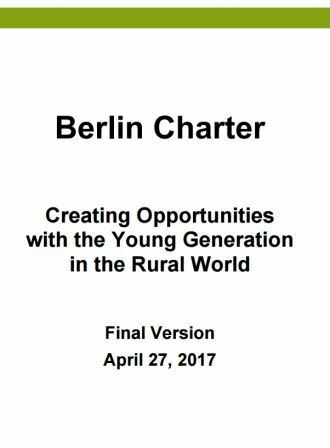 PARALLEL CHARTER FORA – CALL FOR ACTION:How can we promote opportunities for the next generation in rural areas? The aim of the parallel Charter expert fora was to provide a platform for discussing the implementation of the Charter (the Call for Action). They started with introductory contributions from high-level speakers supplemented by the voices of youth. Good governance, finance and funding Dr Shenggen Fan Director General of the International Food Policy Research Institute (IFPRI), Washington D. C.
On 28 April, Development Minister Gerd Müller presented the latest volume of the BMZ series of publications. It is entitled ‘Voices Against Hunger’. The publication presents the views of the Minister and of six prominent figures from Germany and Africa, from civil society and academia. Almost all authors were present at the conference. The BMZ Special Initiative ‘One World – No Hunger’ is about much more than the provision and use of additional funding. It involves pooling and giving strategic direction to all BMZ activities in the field of rural development and food security. Additional funding will go primarily to new projects and programmes that are innovative in nature, go beyond established approaches to development cooperation, explore new forms of cooperation, initiate new development processes and promote hitherto neglected areas. Integrated food security measures (areas of intervention 1 and 2) are being implemented in the following 12 countries: Benin, Burkina Faso, Cambodia, Ethiopia, India, Kenya, Malawi, Mali, Togo, Yemen and Zambia. Innovation in the agri-food sector is being promoted through the establishment of green innovation centres (area of intervention 3) in the following 13 countries: Benin, Burkina Faso, Cameroon, Ethiopia, Ghana, India, Kenya, Malawi, Mali, Nigeria, Togo, Tunisia and Zambia. Soil rehabilitation measures (area of intervention 5) are being launched in five countries: Benin, Burkina Faso, Ethiopia, India, and Kenya. 22-23 March 2017. Stuttgart. 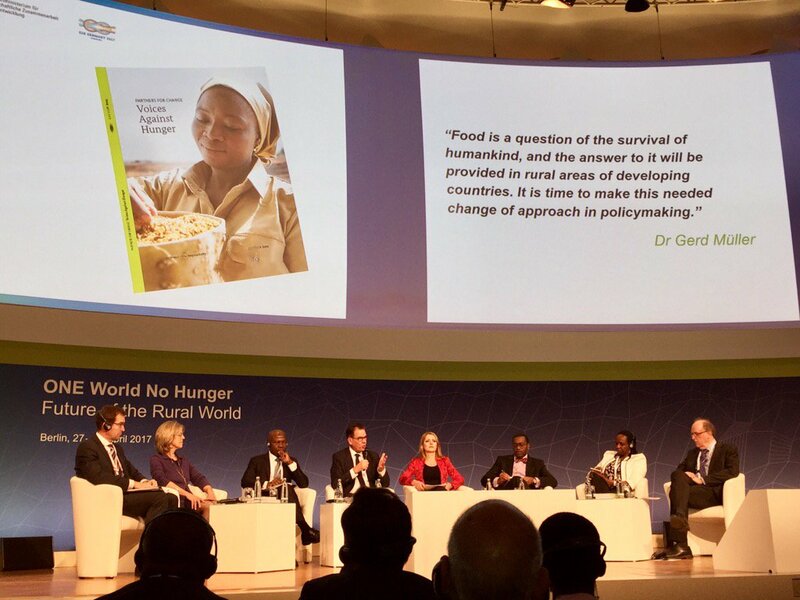 The 3rd Congress Hidden Hunger organized by the University of Hohenheim / Institute of Biological Chemistry and Nutrition considered the question of how far the Post-2015 Agenda and other programs and measures adopted in 2015 to fight against world famine and poverty have already been implemented. To achieve this, political parties and industry representatives as well as representatives of civil society and advocacy groups (NGOs) were invited to take a position. Furthermore, successfully established projects and initiatives (such as the special initiative “One World – No Hunger” of the Federal Ministry for Economic Cooperation and Development (BMZ)) were presented at the congress. Partnerships and NGO research cooperations incl. a special view on field research. The third congress day was the day of organizations and institutions of partnerships. The private sector together with its governmental and academic partners presented international projects and programs as well as their targets and challenges. A special focus was given to capacity development and cross-sectoral collaborations. Mirjana Gurinović (picture), University of Belgrade, Serbia: “Diet Assess and Plan (DAP) software for dietary intake assessment in supporting public health nutrition research in Central Eastern European Countries (CEEC)”. She is a Chair of the Capacity Development Network in Nutrition in Central and Eastern Europe, (NCDNCEE/CAPNUTRA) (www.capnutra.org) and contributed to food nutrition capacity development in this region. 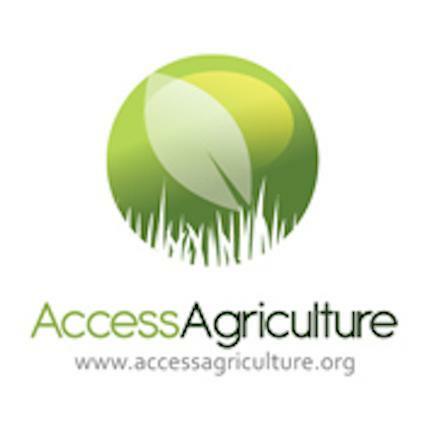 The Panel will convene senior decision makers at an annual Malabo Montpellier Forum to assess strategies for meeting global agriculture and food security goals. Dialogue between the Panel, key stakeholders, NGOs and the private sector will promote the sharing of research across borders. 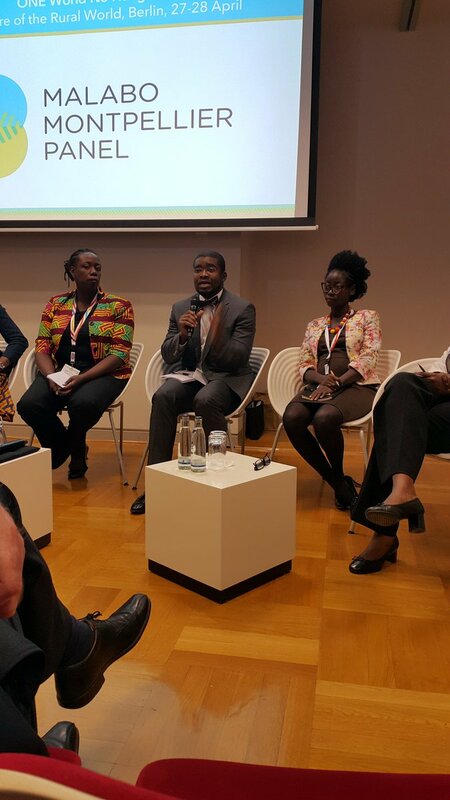 The Panel is hosted by the West and Central African Office of the International Food Policy Research Institute and headquartered in Senegal. 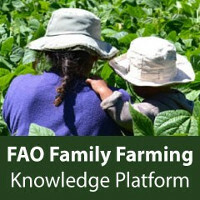 It is supported by the Center for Development Research of University of Bonn and Imperial College London and works closely with the Regional Strategic Analysis of Knowledge Support Systems (ReSAKSS), the main review and learning platform set up under the African Union’s Comprehensive Africa Agriculture Development Programme (CAADP). The Panel’s first technical report will be presented in Abidjan, Cote d’Ivoire at the African Green Revolution Forum from 4-8 September 2017. 13 April 2017. CTA Spore article. Professor Joachim von Braun, co-chair of the Malabo Montpellier Panel and co-chair for an international advisory group to the ‘One World – No Hunger’ conference, highlights the importance of rural areas and the youth in combating world hunger. 21-22 May 2017. Berlin. 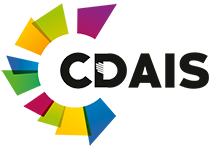 ICAST 2017 : 19th International Conference on Agricultural Science and Technology. 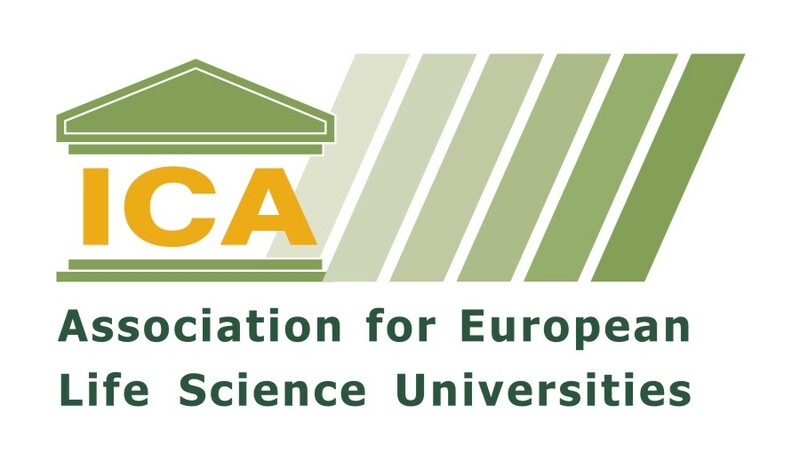 This conference is the premier interdisciplinary platform for the presentation of new advances and research results in the fields of Agricultural Science and Technology. The conference will bring together leading academic scientists, researchers and scholars in the domain of interest from around the world.